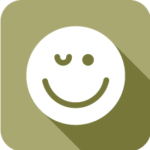 1 What is an Allergic Reaction? 4 What Triggers an Anaphylactic Reaction? 5 Do You Know if You Have Anaphylaxis? 6 How is Anaphylaxis Treated? Lots of kids have allergies — around 50 million all across America, in fact! — and kids will suffer from allergy attacks every day. However, while most allergy attacks (though annoying) are not really dangerous, an allergic reaction known as anaphylaxis is a serious and life-threatening condition. Read on to learn more about it. An allergic reaction happens when your immune system overreacts to something called an allergen. The allergen will be different depending on the person — for example, while you may be allergic to pollen and mold, your friend might be allergic to dust mites. Whatever the allergen is, it can set off an reaction in your immune system. The antibodies, called IgE antibodies, cause other cells called basophils and mast cells to release chemicals called histamines, which cause the typical symptoms of an allergy attack. These symptoms can include a runny or itchy nose, red, itchy, watery eyes, coughing, a sore throat, and postnasal drainage. Some kids will also get nausea with or without vomiting. And while these symptoms sound pretty bad, anaphylaxis is much, much worse. Anaphylaxis is life-threatening and can be fatal if it is not treated. The symptoms can begin within minutes of exposure to an allergen but in some cases, these symptoms can be delayed by several hours. While anyone who has allergies could possibly have an anaphylactic reaction, there are some people who are at greater risk for this complication. This includes people who have had anaphylactic reactions in the past, have a family member who has had this problem or have other medical diagnoses like asthma. What Triggers an Anaphylactic Reaction? Do You Know if You Have Anaphylaxis? Doctors will diagnose someone with anaphylaxis based on their history, the signs and symptoms that they experience, and blood or skin tests to determine what they are allergic to. People who have had anaphylaxis in the past will often be prescribed an EpiPen (see section below for more information) in case they accidentally get exposed to an allergen in the future. Anaphylaxis must be treated as soon as possible. If someone knows that they have a tendency towards anaphylaxis, there doctor will often prescribe something called an EpiPen. 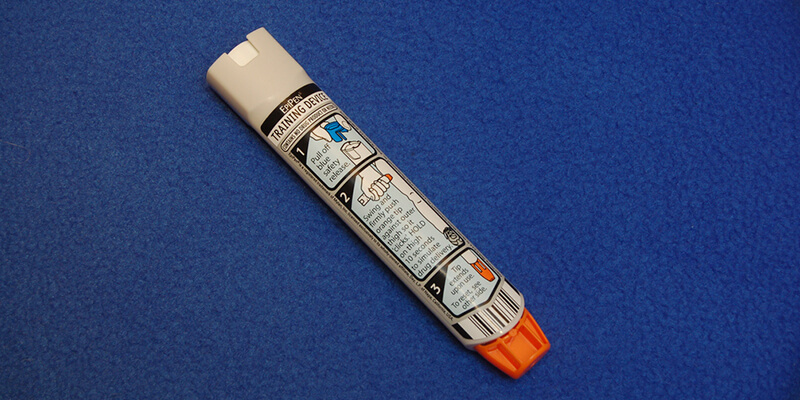 An EpiPen is an injector that contains a compound called epinephrine. Epinephrine is a hormone which is found naturally in the body but in large amounts can help to raise someone’s blood pressure back up to normal levels and also bring down the swelling in the throat which causes the air constriction. EpiPens are easy to use and the medication is injected into the thigh, where it begins to take effect very quickly. Many kids learn how to self-inject (that is, give the medication to themselves). However, it is also a good idea for parents, family members and people at school to know how to administer epinephrine in case of an emergency as well. However, it is important to remember that even if someone has been treated with an EpiPen, the effect of the epinephrine is temporary and they will still need to go to the emergency room for more advanced treatment. This can include administration of oxygen and the use of beta-agonists to help restore normal breathing. If the reaction is severe enough to stop the heart or breathing, CPR may need to be performed. In short, anaphylaxis is a rare reaction to an allergen and is a severe one, requiring both emergency administration of an EpiPen as well as follow-up treatment at the hospital until the danger has passed. The best treatment for this reaction, however, is simply to avoid allergens that can trigger this dangerous situation.